On meters during the day, single yellow after 6:30PM, NCP all day & night. 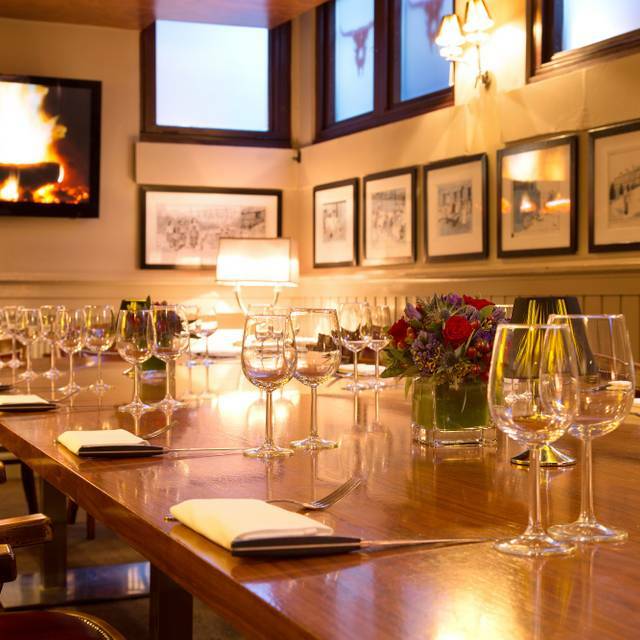 Marco Pierre White Steak & Alehouse's versatile space and layout make it ideal for exclusive full or part hire for private parties or special events of any personal or business nature. 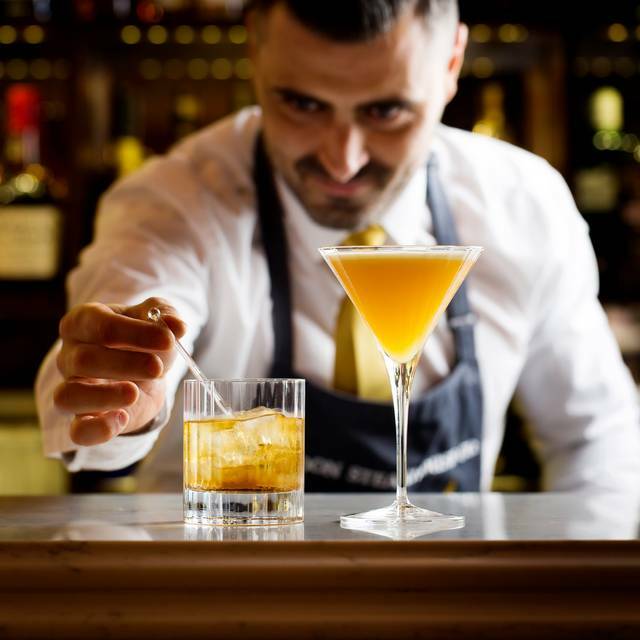 The main restaurant and bar area can be adapted to suit occasions of any size from a simple VIP area of the chic lounge bar to a full-blown wedding celebration. Up to 100 people can be seated for dinner and up to 150 for drinks and canapés occasions. 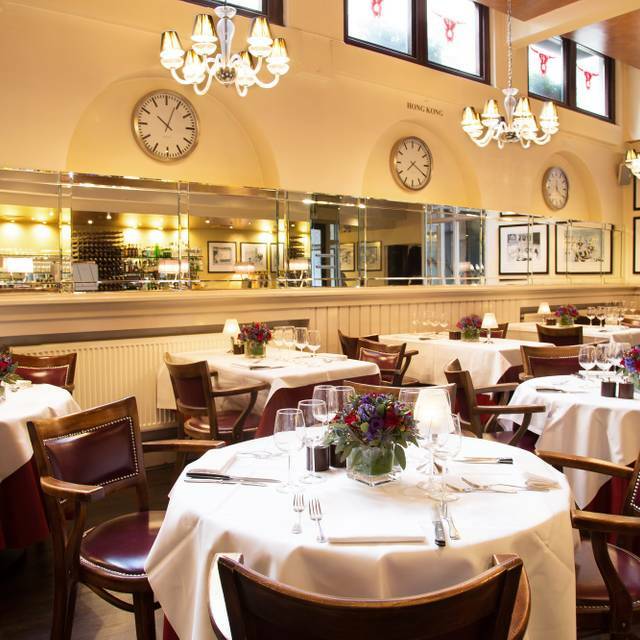 London Steakhouse Company - City, the first to bear Marco’s name, is a traditional steakhouse in the heart of the Square Mile, serving a mouth-watering choice of steak cuts and a range of timeless English dishes. 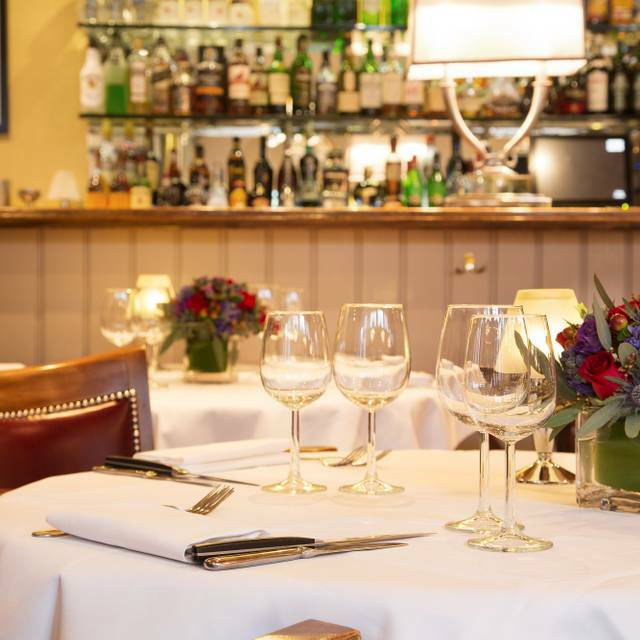 As well as the finest quality steaks from master butcher Aubrey Allen, the menu features grilled and roast meats, fish mainboards and classic English puddings. 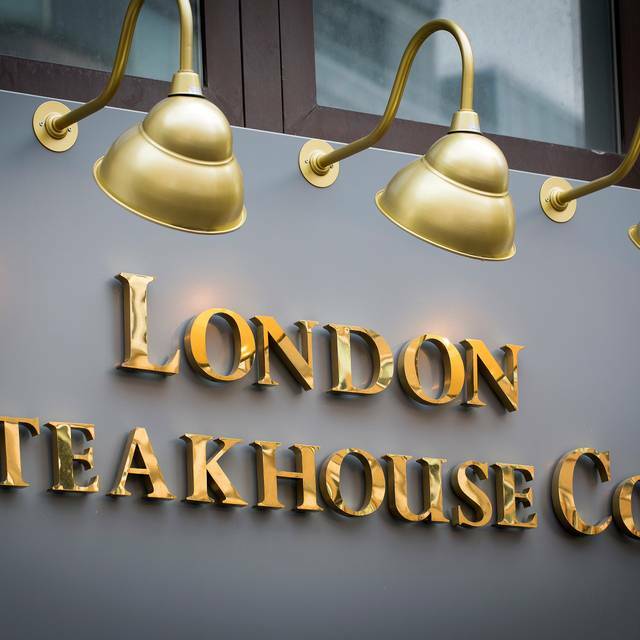 London Steakhouse Company - City has a sister restaurant on the Kings Road in the heart of Chelsea. The Private Dining Room offers an exclusive, elegant space for private parties, business functions and weddings. Seating 20 for dining or 35 for drinks and canapés the private dining room has its own private bar. 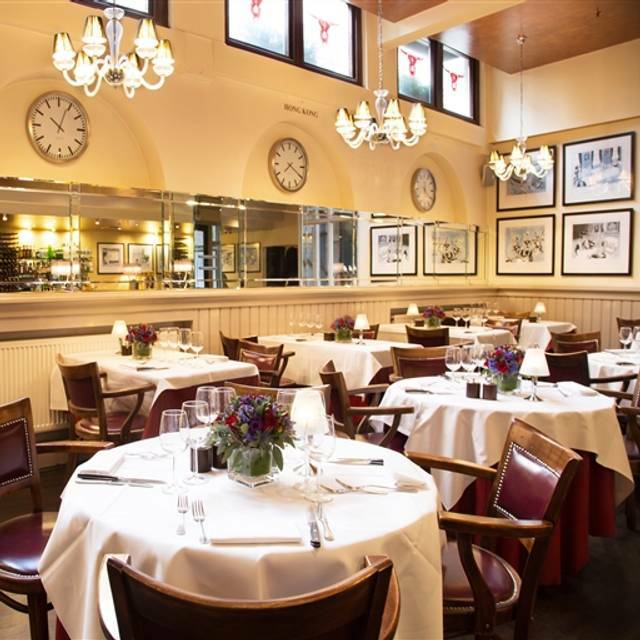 The main restaurant seats up to 130 for dinner or up to 200 for drinks and canapés. 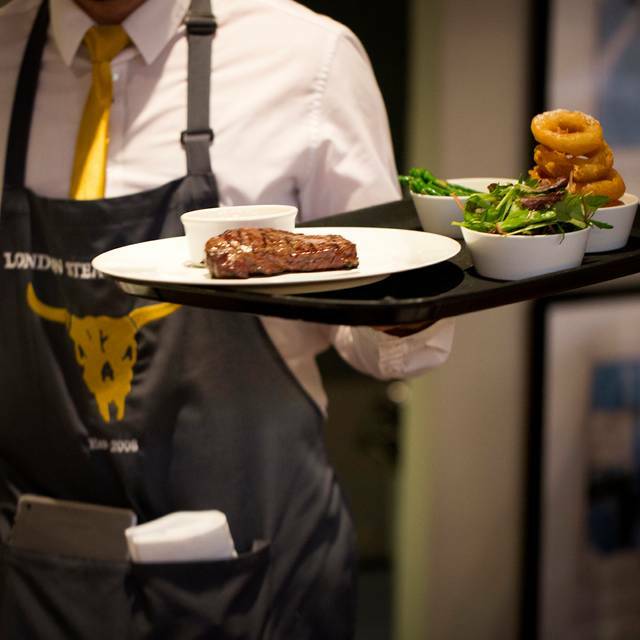 Get 3 course set menu for £29.50. Offer applies to Set Menu. The table may be returned after 90 minutes. Dined on Friday 1st February. We had the Cornish Crab on a toasted crumpet, the crumpet was soggy at the bottom so not a great start. I had the Chicken Schnitzel for the main and it was served burnt, how it made it passed the pass I dont know. The Head Chef needs to be more attentive with the quality of the dishes. I met some friends from the north of England, they really enjoyed themselves and loved the food, would recommend. I have eaten at this restaurant several times over the last year and have never been disappointed. The food and service are good and I would certainly recommend. Very friendly staff. place nicely set out. food very nice. only thing service was a bit slow. While the food and service was good, they have overcharged our group for their drink package (£220), when they havent gave us the price and our request. Also they made it clear that service charge was mandatory. However we enjoyed the food and the good service. Poor meet and greet service upon entering the restaurant, slow or non existant bar service and poor selection of wine available. Waited over an hour for the food to arrive even with the restaurant not being busy. Service was very slow. Wine (Malbec) was off, but waitress ha dled well and brought a second (good) bottle..
As far as steak houses go, this is only OK, nothing fantastic, only worth going with a discount voucher. 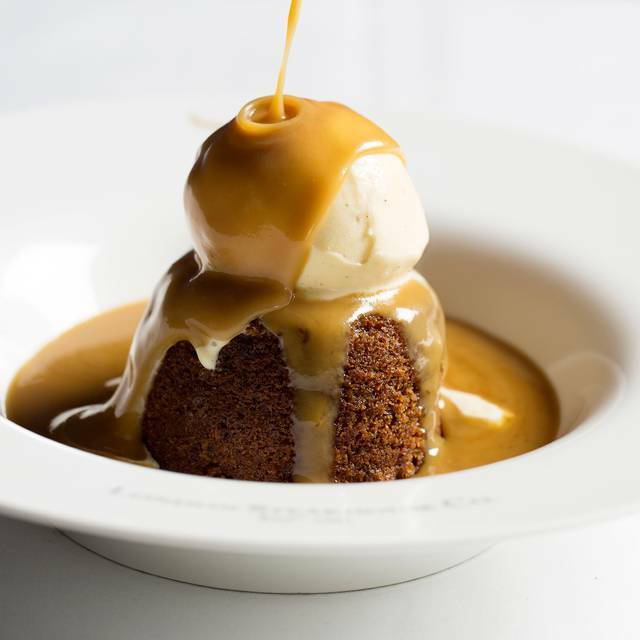 MPW restaurants never disappoint and this is no exception... I was a regular at Frankies in Chiswick and this looks like it will be too! 1. Asked for my steak to be rare to medium.. and stressed that this means more rare than medium. Got my steak and it was medium; no blood in sight though it was still tasty... but for a meal that cost a fortune and with the big name above the door and it being, supposedly, a specialty steak house - a pretty poor show. (ii) They calculated the 12.5% service charge before deducting the voucher amount (which was already less than it should have been!). Finally, considering they are a steak house, you ought, on the experience voucher, be able to get a steak without paying extra. NOT SO here! You're OK if you want a tiny bit of rump steak, but EVERY other steak required at least a surcharge of about £15. As a result, my partner ended up paying a total £161 for 2 people to have a decent meal, which we could have got elsewhere - at similar quality - for half the price - if this is what it means to eat at a Marco Pierre White restaurant, he's got it VERY wrong. I haven't told my partner all of this as she wanted to treat me and I don't want to take the shine off her generous gesture, but this was rip-off dining at its worst. I would definitely not recommend this place to friends or family and will never return. A very poor show indeed. This is a mixed review- the atmosphere was great and the staff attentive wthout being overly so. Great wine list. There were four of us and three of us chose sirloin and the other guest chose rump - the three sirloin were disappointing cuts, very fatty and to say we ordered medium rare, the meat was very tough. I’d give it another chance but not high on my list to be the first choice for a return visit. Staff were inattentive and lacking customer service basics. The food wasn't that great. Ridiculously overpriced. Food was served in good time and was delicious. Mix up made with my order but resolved very quickly. The staff were very pleasant and engaging which goes a long way. Generally a very good experience. Decent place to eat, food was above average. Sides aren't even worth ordering I got cream potatoes for £5 and it literally was a mouthful that was the only complaint. Great atmosphere for meeting friends / quiet conversation. Excellent service. My chicken was undercooked, but I was immediately given the option of having it cooked further or ordering something different, without any fuss or argument. The staff were suitably apologetic and polite about the issue. I would recommend the restaurant for its good food and great service. Awful. Bad overpriced food. Poor service. Long wait. If you are thinking of going, don't. Visited on a Friday afternoon as part of wife's birthday weekend. Ultra attentive staff, pleasant atmosphere, unpretentious. Food was excellent although would have liked a wider choice of starters. We shared the Chateaubriand, which was cooked perfectly to our request and excellent quality. The desserts were stand out. Shared a bottle of inexpensive claret, although there is an extensive fine wine selection (assuming you've just won the lottery or want to impress a client). Prettyngood value based on the half priced mains deal. All round recommended. Considering it was new years eve, the price was good. Food was indeed yummy! Will defo be back! We went there for our work christmas diner, we were all happy for our food choice, the ambience was good, remarkably not noisy which was nice. Well located, close to the station. Didnt quite live up to expectations. Ribeye was slightly overdone for medium rare, no chargrilled flavour. Fillet was good as were the sauces. Sides of fries excellent. Colleague asked for toothpick and 20 minutes later had to ask again. Didn’t offer to take coat on arrival. Small things you don’t want to want to think about especially as it’s a quality expensive lunch. 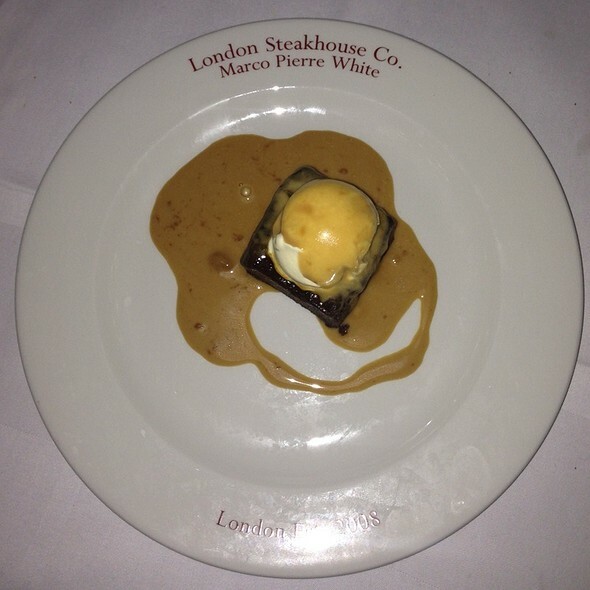 The dishes were cooked and presented superbly, the waiter service and overall experience was 1st class. I order a porterhouse steak, medium and it was presented to me medium rare. The steak was sliced so it was evident it was not medium yet it was served to me. Needles to say I brought it to the waiter’s attention...it then took another 10mins before the manager had to come over to remove and said he would ‘make me a new one ‘....which turned out to be the same one with a few of yen slices still towards the medium rare spectrum. The serving of creamed potatoes was about 2 tablespoons for £4.75...which I also brought to the waiter’s attention for him to address. It’s ridiculous that they would even think of giving that to a customer!! I had no problem with the waiter, he was very attentive and accommodating but the food took very long to prepare and with the experience i had it just left me annoyed so I won’t be returning. Plastic in my food. I had to send it back. Enjoyed lunch with friends. The service good and everyone very helpful and friendly. But, I had booked through opentable and there was a deal where if you had starter and main course then you received 50% off the cost of the mains. I forgot about this and paid the full cost it was only on reaching home that I saw we should have been offered the reduction to the bill so feel a little annoyed as quite expensive. Have sent a letter to the restaurant bit disappointed that this was not dealt with at the time. Service was good, but food could be better considering the cost. Would recommend Goodmans over this restuarant anytime! Excellent value , service and ambience that you would expect f rom a Marco Pierre White Rest aurant! The 50% main meal special offer was very welcome and helps to make it the more enjoy able. We had also travelled quite a long way, were tired but well looked after! Will hope to go again. Unfortunatly the restaurant hadn't been sent our booking and so they did not know we were celebrating my partners birthday and I had no chance to discreetly inform them. Other than that, food was excellent. Overall a good experience. I just wish some gesture had been made towards my partners Birthday such as a little Hapoy Birthday written alongside the dessert. Booked it through open table and the 50% discount off he mains was not applied and neither was it honoured when I queried it. We received a friendly welcome, were given time to read the menu and then had a very efficient and friendly service throughout. I had asparagus with hardboiled egg and mayonaise followed by beef bourginon with a chocolate style pudding for dessert. All were very tasty and well presented. The wines were priced at around the usual amount for this type of restaurant. Highly recommended.